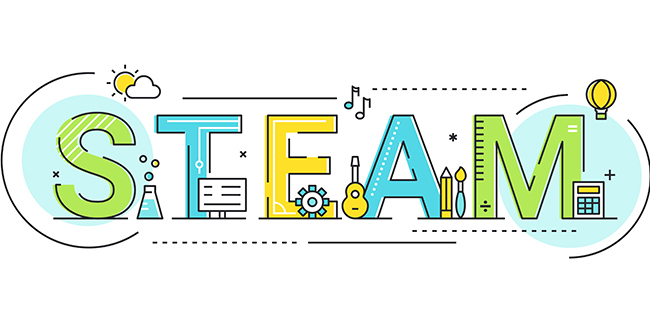 Explore, discover, and create through hands-on science, technology, engineering, art, and math (STEAM) activities. Drop in to play any time! Deschutes Estuary Restoration Team’s “Whats Up With Mud?” What vital role do mudflats play in Budd Inlet (Olympia area) – and what are the current concerns? How do mudflats tie together our local ecosystem, and what can we do to restore them? COVERING: Deschutes estuary restoration, toxins and legacy pollution in Budd Inlet, Olympia’s historic shoreline alteration and dredging, our shorebird population decline, and carbon capturing capabilities of estuaries. Join the conversation! Join the Washington Department of Fish and Wildlife for a 2 pm presentation on the importance of bats, the deadly white-nose syndrome threatening them, and what you can do to protect these amazing creatures. Bat activities all day. Come ride on a horse-drawn wagon to see the newborn calves. The goats are back, so make sure you stop by to pet them, and they will have friends this year. We had 2 orphaned calves who will also be around for you to pet. They are fun and frisky. We will also have an Easter Egg Hunt at 10:30 on April 20th. SLURP is a shellfish, wine and beer tasting event benefiting clean water education and shellfish restoration efforts in the Pacific Northwest. A dozen restaurants will showcase their culinary talents by preparing dishes with fresh, off-the-beach local shellfish. Wineries will join the Fish Tale Brewery to offer the season’s latest varietals and microbrews. SLURP also features a Grand Oyster Bar, live auction, an oyster shucking/eating contest, and live music. – Brews made by Fish Brewing Co.
– 100% of proceeds benefit PCSGAs Shellfish Habitat Restoration Fund which provides funding for shellfish education and habitat restoration efforts. 3rd Grade Bioblitz Fieldtrip ! Join Mason Conservation District, Pacific Shellfish Institute, Little Skookum Shellfish Farms and 3rd grade students as we explore the beach, dig and survey beach organisms and learn ! Volunteers would lead, run and assist groups of students in surveying and identifying beach organisms and work with students to answer questions and provide guidance and assistance. Volunteers with knowledge in biology, sea life, shellfish and identification would be an excellent asset to these trips but beginning volunteers interested in learning are needed as well, as information will be provided. We are accepting volunteers with any range of knowledge base for a variety of activities and stations. Volunteers would be expected to take and lead groups of students, answer questions, keep student attention, be patient and kind and have fun ! Volunteers must be willing to provide information for a background check by the school. Celebrate our wonderful planet by creating art from recycled materials. We’ll create piggy banks and jewelry from recyclables too! Spring Arts Walk and the Procession of the Species are here! Enjoy a variety of art activities and see student artwork on display. Spring is here! Go enjoy this free event ! Join the Capitol Land Trust at 2 pm for an interactive workshop about our unique ecosystems and how to create your own nature journal by sketching, writing poetry, and more! Related activities all day. Mason Conservation District is looking for volunteer divers to assist with kindergarten field trips at Twanoh State Park. Divers will gather sea creatures for students to view and talk to students about the creatures and experiences being a diver. Join Mason Conservation District and the Skokomish Tribe to teach children about the wonders of estuaries, conservation, natural resources and encourage an appreciation for nature. Mason Conservation District is hosting 2nd Grade Field Trips at the Skokomish Estuary and are in need of volunteers on May 14th, May 15th, May 20th, May 21st and May 22nd. Volunteers with knowledge of plants and estuaries would be an excellent asset to these trips, but beginning or volunteers interested in learning are needed as well, as information will be provided. We are accepting volunteers with any range of knowledge base for a variety of activities and stations. Forest Festival Field Day 2019 is on the way! Green Diamond Resource Company and Mason Conservation District are coordinating a 5th grade forestry program and are looking for Trail Guides to lead 5th grade students through the stations at Forest Festival Field Day. Volunteers will enjoy a hands-on field day of learning about forestry and the forest environment as well as use their leadership and communication skills. The event takes place outdoors as students rotate between a series of activity stations. Event Details: This year’s Forest Festival Field Day is scheduled for Friday, May 17th, 2019. Trail Guide volunteers need to arrive at 8:30 for an orientation and the day ends at roughly 2:30 pm. Hot drinks will be available in the morning and lunch will be provided for volunteers! Show your love for mom, or that special someone in your life, by making a handmade card, a crafted bouquet of flowers, and more! Learn to code without a computer. Explore the basics of computer coding through hands-on activities, including programming our robots, Dash and Cubetto. ​Put on a lab coat, grab a magnifying glass, and dive into the world of decomposers. Examine some of nature’s hardest workers – fungus, bacteria, and insects! Attend a 2 pm presentation or check out the “bug lab” throughout the day. Stop by South Bay Grange for The Traditional Strawberry Festival's 84th year. Enjoy Strawberry Short Cake, Vendors, Crafts, Ballroom Dancers, Dulcimer and Folk music, songs from Aladdin, South Bay Dancers & more! A free event for the whole family. 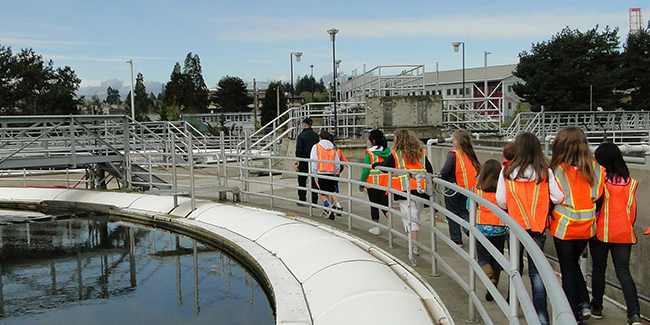 Attend a 1 pm presentation followed by a tour of the Budd Inlet Treatment Plant. See how LOTT cleans your dirty water and the steps taken to protect Puget Sound. Tour participants must be 10 or older and wear closed shoes. Wetland-related activities all day.